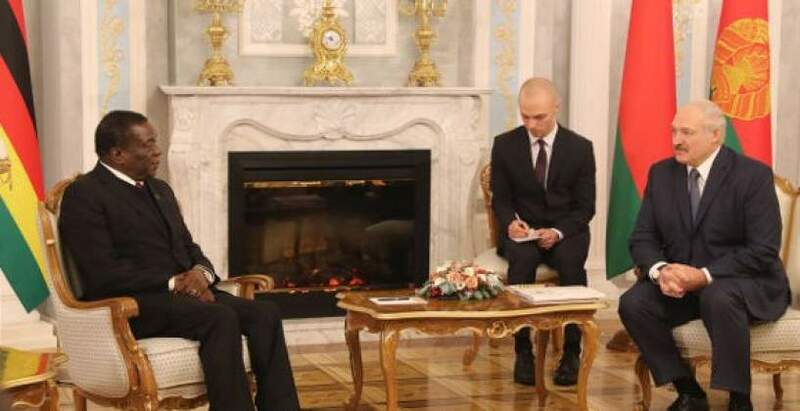 Belarus is considering Zimbabwe as a strategic partner in southern Africa. This came out when Belarus President Aleksandr Lukashenko met with President Emmerson Mnangagwa at the Independence Palace in Minsk this Thursday. President Lukashenko said Zimbabwe and Belarus should establish concrete projects which bring tangible results to prove to the people of Zimbabwe the benefits of bilateral relations. President Lukashenko said Belarus understands the difficulties that Zimbabwe is going through, saying every country that is carrying out reforms goes through such challenges but these will come to pass. He said so far Belarus has been working with countries like Algeria, Egypt in North Africa and Sudan in Central Africa, and will work with Zimbabwe in Southern Africa. He said Zimbabwe has the natural resources and educated people to revive the economy and modernise but does not have the resources and therefore requires such friends as Belarus to give hope to the nation. President Mnangagwa said Zimbabwe is ready to learn from Belarus which also went through the same challenges when it carried out reforms. He explained that Zimbabwe's economic challenges arose from the move it took to address land imbalances. Earlier on, the President and his host had taken part in a welcoming ceremony in the palace courtyard. There was the singing of the national anthems of the two countries before official talks and a signing ceremony. Zimbabwe is on a mission to look for cooperation and joint ventures in the areas of agriculture, mining, science and technology and education among others. Belarus produces reputable agricultural and mining trucks that can be used to move ore.